William L. Adams was a young Presbyterian student that spent his first two years at Knox College in Galesburg, Illinois. The school was passionately anti-slavery; its president was an official in the Illinois Anti-Slavery Society. It was at this campus a few years later that Abraham Lincoln debated Stephen A. Douglas and denounced the immorality of slavery. Follow this link to see the role of Knox College the anti-slavery movement. See a photo of the building where Will Adams attended school is included. 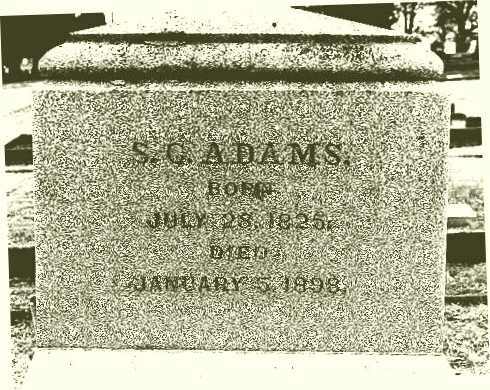 The anti-slavery movement had a strong impact on Mr. Adams. There is also an article by a descendent of W. L. Adams on this local link. Adams was won to the message of being a Christian only. He decided to study at Alexander Campbell's Bethany College in the panhandle of West Virginia. Henry Clay had called Campbell "the greatest man on the American continent." Adams arrived in Bethany with 25 cents in his pocket and was welcomed into Campbell's own home where he boarded while attending school. While at Bethany, one who knew him said he studied on a average of seventeen hours a day. Adams was soon elected to represent the American Literary Institute in an oration to the vast crowds coming to hear Mr. Campbell on Commencement Day. W. L. Adams confided to a friend that living with the Campbells, he was "petted and praised more than he deserved." His incessant studies broke down his health and affected his eyesight. He was not able to finish the last month of school, the faculty having advised him to stop to protect his health. He then moved to Illinois and was sick most of the summer. In the fall of 1844, he married Frances Olivia Goodell, a school teacher. The next year, he taught school in Henderson County, Illinois, on the Iowa border. By 1847 Adams had assembled eight yoke of cattle, two wagons, three guns and other items necessary for the trip west. He delayed one year, selling one of his teams and a wagon to W. W. Bristow, who was leaving in 1847. During this time he declined a five year contract to head a college, preferring to move to Oregon. Even Alexander Campbell wrote to dissuade the talented young Adams from going west. But he persisted. Tenacious Adams started the trip in March, heading first to St. Joseph, Missouri where they joined forty other wagons headed for Oregon. He painted a sign on his wagon: "HIC TRANSIT!" The family consisted of Will, Frances, two-year-old Inez and four-month-old Helen Elizabeth. On the way, Mr. Adam's library was doused while crossing a swollen river. Mud was sometimes knee-deep. They traveled the Barlow Toll Road past Mt. Hood and arrived at Philip Foster's home at Eagle Creek broke, but undaunted. Mr. Foster gave the hungry family a peck of potatoes and the offer of a teaching job. However, with Yamhill County as the goal, the wagon pushed on to Oregon City, where Mr. Adams borrowed the money for the ferry to cross the Willamette. Upon reaching his destination, he traded his wagon for ten wild Spanish cows. This kept the family in beef for several years. At the age of twenty-eight, W. L. Adams took a job teaching school just west of present-day Carlton. Mahala McBride agreed to let William and Frances stay in one of their buildings if he would teach their children. His worldview was strongly influenced by that of Alexander Campbell. The McBride's worldview had been shaped by that of Barton W. Stone and John Mulkey with an elevated emphasis on evangelism. In one corner of the room was a mud chimney that smoked much of the time, and here boy pupils in buckskin and mocasins, and girls in gowns of shirting colored with tea grounds, conned (learned) their lessons during the bitter winter of 1848-9, a season remarkable for low temperature, during which the thermometer fell below the zero mark. The successor of this school was another conducted by Adams in one of the three rooms of the log cabin of Dr. James McBride. Among the students were eight McBrides, seven Sheltons, two Woods and five or six others, including Levi Lindsay Rowland. One of his students described Adams as "a small, thin, flaxen-haired man. He had no dignity, was slovenly in dress, odd in manner, full of energy, obstinacy, and opinions that were his own." His later photos do not support this description. Perhaps he gave more attention to appearance as he had to deal more and more with the public as a preacher, editor, judge and educator. Adams had brought his library west. There were about 250 volumes of choice books containing the best literature of the day. When Will Adams headed south to the gold fields in 1849, Francis, an experienced teacher, taught school for one year. Both teacher and some of his students went to pan gold and were successful. There were very few men left in Oregon during the summer of 1849. Adams had another stint at panning gold in 1852 when he went to Yreka, California along with eight others. This venture was also successful. 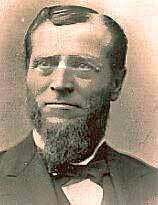 It was Will Adams, more than any other preacher of record, that presented the gospel to the Klickitat Indians that had migrated into Yamhill County. He was their friend and he went to great effort to present the Gospel of our Lord to them at his home. His house was a free resort for the poor, sick, lazy and infirm for more than forty years. Will Adams taught about 20 students that winter, using a blackboard, crude benches, and a few books. In later years, he was especially proud of four of his students: John Rogers McBride, who served as a United States Congressman; Thomas A. McBride, who was appointed chief justice of the Oregon Supreme Court; George Lemuel Woods, who was elected governor of Oregon; and Levi Lindsay Rowland, who became president of Christian College in Monmouth. These four young men, all devout Christians who grew up to be leaders in both the community and the church, credited Will Adams for much of their early training and progress. Will Adam's name appears as a special speaker on many occasions, such as the establishing of Pleasant Hill Church near Eugene in 1850. He was one of the speakers on the day the Bethel College building was erected in 1855. He was one of the golden-tongued orators of his time. 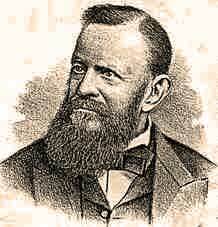 William Adams was elected probate judge of Yamhill County and established the Oregon Argus newspaper early in 1855. He edited the Argus for nine years. His critics dubbed it the "Oregon Air Goose." The four page weekly became the mouthpiece of the Republican Party in Oregon as well as the mouthpiece for the Bethel Institute and College. President Abraham Lincoln was a regular reader of the Argus. Politically, Adams was passionately anti-slavery from his Knox College days. During these years he was also a powerful spokesman for the cause of Christ. 1st President, U. of O. Among their several children (see descendents of the Adams brothers at the end of this essay), Helen married John Wesley Johnson. He became the first President of the University of Oregon at Eugene. A writer in the Christian Messenger of 1880 comments that his salary was $2,500 that year. Mr. Johnson is buried in the Masonic Cemetery at E. 25th Avenue and University Street in Eugene. President Lincoln appointed W. L. Adams as the Collector of Customs at the Port of Astoria in the 1860s. In 1863 he made his home at Forest Grove, practicing self-taught medicine. However, he went to Philadelphia in 1873 and took a course in medicine. He also studied law and received the Doctor of Laws degree from the American University of Pennsylvania. He practiced law and medicine briefly in Portland before moving to Hood River. At Hood River, where most of the medical part of his life belongs, he engaged in farming and medical practice. He bought a home and said that he was "as happy as a clam thirty feet under water." 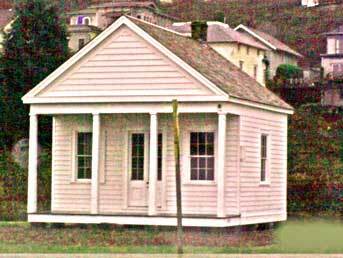 In 1880 he erected a small building, just outside the town limits of that time, where he sold drugs and notions. He married Mary Sue Mosier in 1881 and they had five children. In 1888 Adams published a book called A History of Medicine and Surgery from the Earliest Times. The book was largely a defense of Dr. Adam's methods. 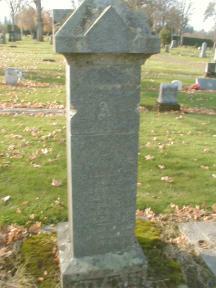 W. L. Adams finished his years at Hood River and is buried in the Idlewild Cemetery. initial was simply C., not Cabot, as widely reported. The land where McMinnville stands today was the Donation Land Claim of William Newby, a Christian from McMinnville, Tennessee. One day Newby, James McBride and his new son-in-law, Sebastian Adams, were dreaming about the future and the not-very-literate Newby wanted to see a college established. Sebastian was offered land for a home and college right on the spot and construction began very quickly. Construction was supervised by Wilson Carl for whom Carlton was later named. A bit about McMinnville's history is on line. The McMinnville College dream survived only one year because of inadequate financing. Bethel College was getting started and it was only 15 miles to the south and had a broader financial base. McMinnville College was turned over to local Baptists. Its six acres of ground, a building and equipment were transferred on condition that it would be kept as an institution of higher learning. It is now beautiful Linfield College. Sebastian Adams was elected Yamhill County Clerk in 1862, then he was elected to the Territorial Senate where he served for four years. Sebastian moved to Salem and was a teacher in Salem First Christian Church for many years until the death of his beloved Martha in 1882. While living at Salem, Sebastian completed his book entitled A Chronological Chart of Ancient and Modern Biblical History. It is advertised heavily in the Christian Standard of 1879, but without a price included. The reader may be interested in checking the current prices on the used market. The book sells for in excess of $1,000. Enter the author as "Adams, Sebastian" in this used book search engine. While nearly all of the pioneer Christians held to the Faith and died in its hope, this may not have been true of Sebastian. Bonnie Miller, the chief researcher for Dr. Jerry Rushford's Christians on the Oregon Trail , cannot find that he continued in the Faith. But his brother Will held to his hope in Christ. Bonnie is distantly related to Will Adams. Following Martha's death and his remarriage to Sarah A. Babcock, Sebastian drifted toward her Unitarian view. W. L. and Frances Adams divorced. Will remarried and lived his remaining years in Hood River, Oregon. 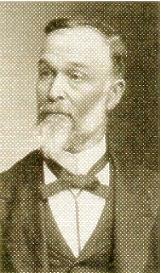 Will's lawyer son, William Harmon Adams, was a leader in establishing the church in Portland, along with his mother, Frances. Gaines Melanchthon Adams was a leader in the church at Pateros, Washington and is buried there. Daughter Helen married John W. Johnson who became the first president of the University of Oregon. God can use talented and trained men and women to accomplish His purposes on earth. Whether or not that person follows through for the remaining years of life is strictly their own choice. 1 Corinthians 9:27. A valuable source for further research on W. L. Adams is the History of the Pacific Northwest: Oregon and Washington. It may have been written by Elwood Evans and was published in 1889 by North Pacific History Company in Portland, Oregon.